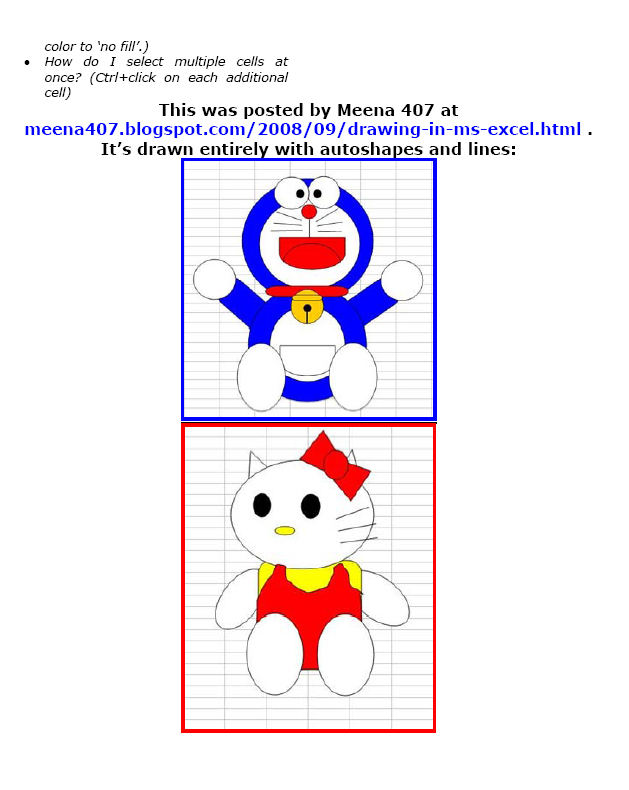 This project can be used to introduce youngers to Excel or excite Middle School kids about the power of what seems to be a data and numbers program. Start with Beginning Graphs here and then move on to this one the next week. Creating drawings in Excel turns into a study of the toolbars and an exploration into tessellations. Come back tomorrow for a more advanced lesson with MS Excel. 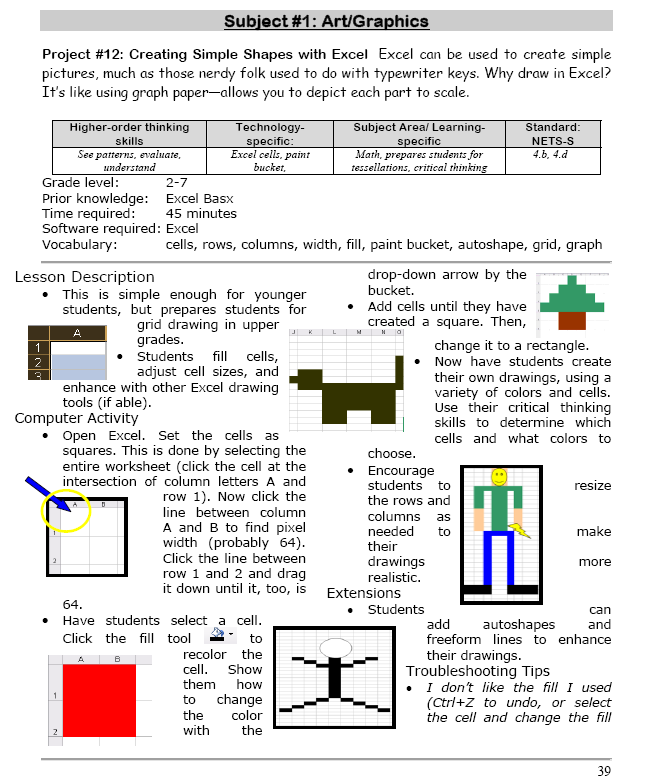 Tags: excel for beginners, integrate technology, learn excel, teacher tools, tessellations. Bookmark the permalink. It is amazing, innit. For visual students, it takes the sting out of spreadsheets.